When the gas is gone, the car tires are worn out, and the truck parts are no longer available; you can still get around. The most energy efficient form of transportation in the world is the 10-speed bicycle. It hasn’t been that long ago when most Europeans commuted to and from work on bicycles, and the Viet Cong carried supplies from North Vietnam to the Mekong Delta on bicycles. Bicycles have relatively few moving parts, require few tools to repair, and require little in the way of maintenance. A good bicycle costs way less than a poor automobile, and the fossil fuel cost for a bicycle is zero. You can cover a lot of ground in a short time on a 10-speed, and it will improve your health. So there are a lot of good reasons to ride a bike even if it’s not a survival necessity. I personally have mountain bikes. They are not as fast on the road as a touring bike, but they are more robust and much superior in off-road situations. Riding at a leisurely pace I can make the 10 mile trip into town in an hour. I don’t have a basket on my bike, although they are available. I prefer to use a backpack for carrying any purchases. 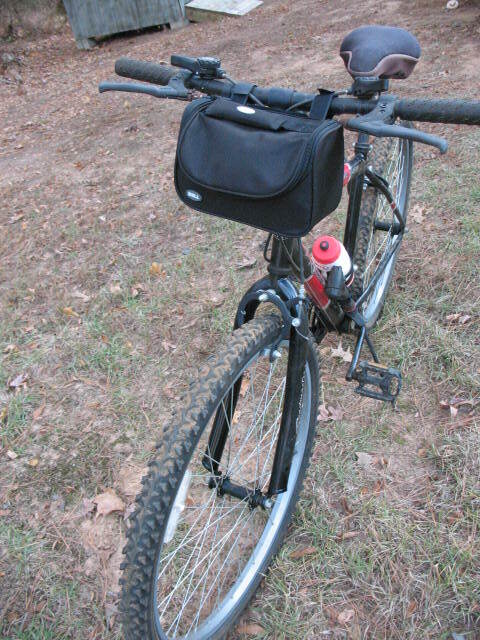 I have equipped my bike with a small bag that mounts on the handlebars. In the bag I keep a locking chain, a Philips and a regular screwdriver, vise grips, a pair of pliers, and an Allen wrench. I also carry a spare tube and a patching kit in the bag. 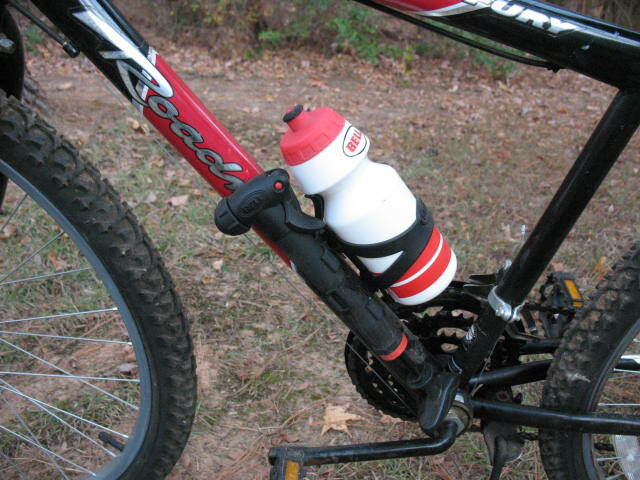 A bicycle pump and a water bottle are mounted on the frame of the bicycle. In addition I keep several more tubes, a couple of tires, and a spare chain in my storage building. Besides my bike I have two others for family members to use. I don’t use my bike as a primary means of transportation but it’s nice to know that it’s there if I need it. Great post. As the previous poster noted, it is nice to see the bike being promoted! Too many people talk about SHTF survival and talk about storing gas and what not. In such situations I would think any stored gas would be better served being used closer to home, making the bike king in my opinion. Besides, you haven’t see interesting until you’ve see a Vietnamese man pedaling down the road with more stuff strapped to his bike than can fit in a pickup! I get some looks to, when pedal home with my shopping. 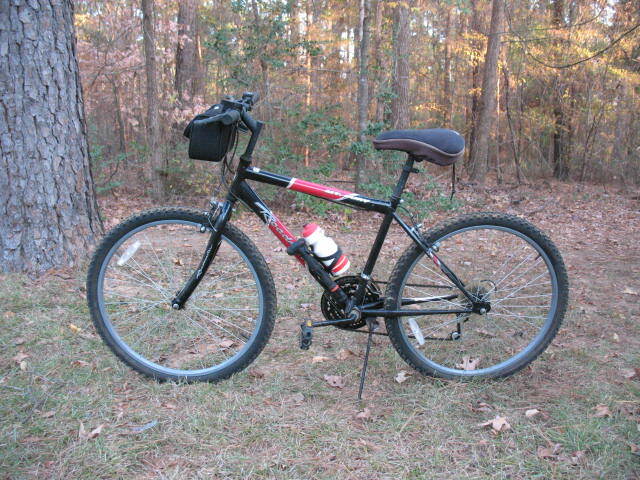 Two saddle bags, full front basket, 4-6 plastic bags on handlebars +something strapped to back seat with flexicord, like 3 bags of firestiks or a dozen water battles – bulk buy in plastic. Not prepping, just kids use 4 school. Largest item got home that way was set of nesting tables. Had to walk with it though. Take my kid on it, no problem, sometimes on top of saddle bags. Some tourists have extra bags on the side of front wheels. Don’t know how they attach them. My bike gets so heavy that almoust can’t lift it if need to turn it sharply to fit through garden gate. It says that max 100 kg weight on my bike, sure it carries more than that in my case when fully loaded. Bike needs some getting used to. If someone last cycled as a kid might find that can go only for short time or can’t go up the hill. Some people I know have bought bikes but don’t use them as find it too hard. If cycle all the time then it is so easy that barely notice the effort. And yes, sometimes weather so bad that I get soaked. Or so windy that pedal down the hill and barely move at all. But mostly pass cars stuck in traffick and feel sorry for people, especially at summertime. Kids took to cycling as well. Son had mountains bike, couldn’t attach anything to it, but was greate off road. So many people underestimate bike.